Let me preempt this by saying that these boots were not an instant hit. In fact, people found them a bit odd. I guess I can’t blame them. Rain boots were not as commercialized as they are today. When it rained, people wore galoshes or resorted to a limited number of brands that actually designed rain boots. This phenomenon reminded me of the immersion of the UGGS. Coincidentally, rain boots started gaining popularity around the same time that people finally learned to live with the “unattractiveness” of their UGG boots and began to enjoy the unparalleled warmth and comfort they provided. When UGGS first came out, people did take to them immediately and I saw the same thing happening with the rain boots. 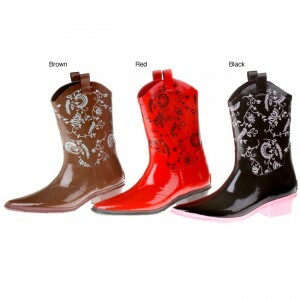 But, I loved looking different in my rain boots – turning heads everywhere I went. In fact, my second pair was on their way. 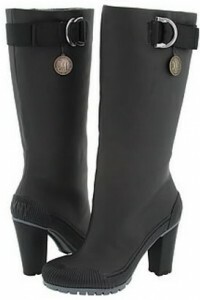 The new boots were dazzling – adorned with fancy gold buckles and beautifully studded details. They became my go-to accessory. No occasion was off limits for my new wardrobe staple. On rainy nights, while others’ toes sunk into the muddied sidewalks of Philadelphia, my rain boots accompanied me to the most upscale of places. The saying beauty requires sacrifice simply did not apply to me, at least not in a fashion sense. Comfort trumped conformity and little did I know this trend was quickly catching on. 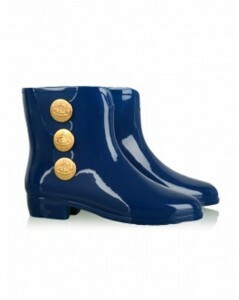 Today, you are in major luck because rain boots have hit their tipping point and can be found absolutely everywhere. Fashion has finally caught up with a woman’s everyday needs. You no longer have to sacrifice style for comfort or break the bank. Bellow, I have put together some of my Fall favorites for this trend. I have to admit, some are a bit outlandish. But the great thing is, that you can now own a rain boot for every occasion. One tip I will offer is buying rain boots one size smaller. 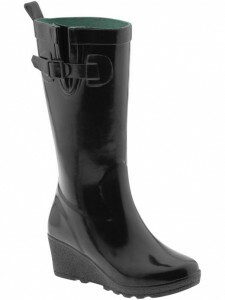 Oftentimes, rain boots come in whole sizes, so buy a size down. Of course, all designers are different so do try them on. But if you are shopping online the rule-of-thumb is that they run big. 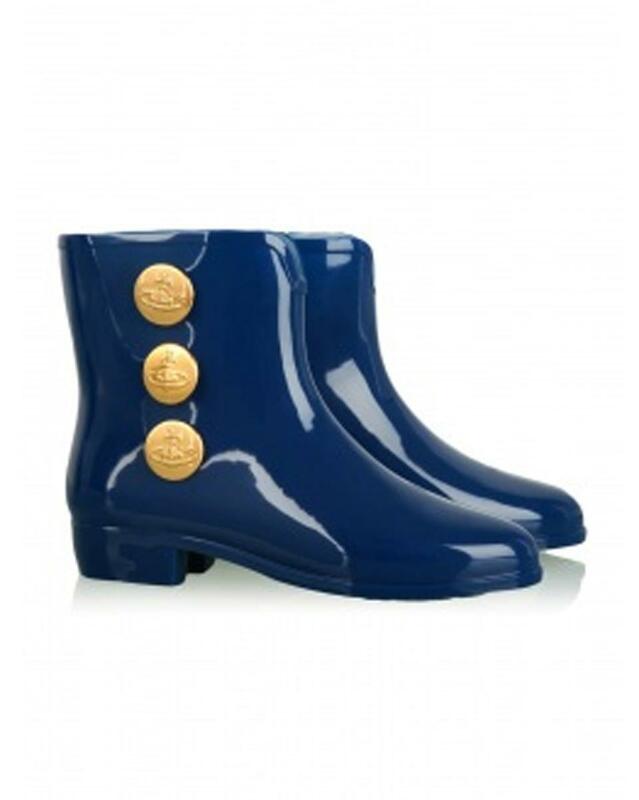 I can honestly go on and on about rain boots, but I wouldn’t want to take the fun out of letting you find your perfect pair. 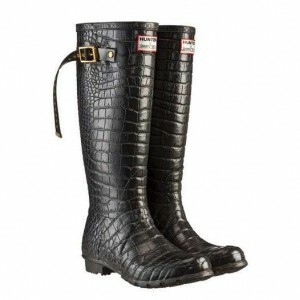 I have been totally thinking about investing in a pair to prepare for the long and soggy NYC winter. I have seen a few people sporting some that look insulated but I can’t find them anywhere, do you happen to know who makes them? Helen, thank you for your post. I know exactly what you are talking about. 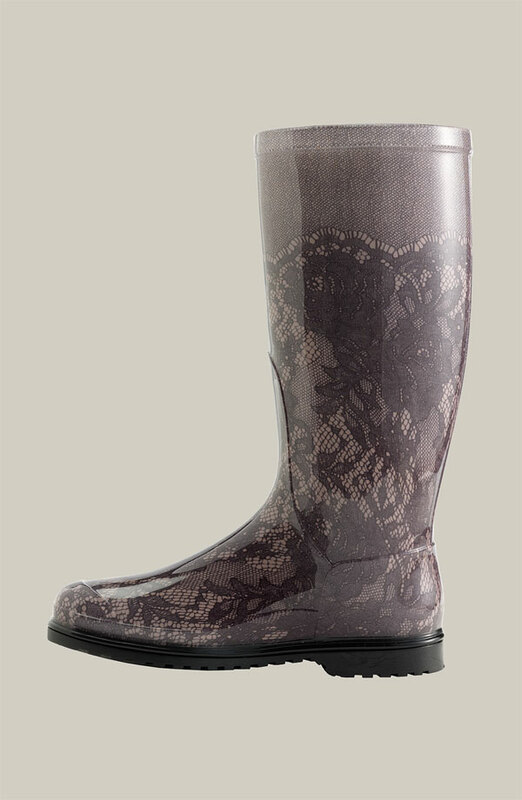 Hunter makes a myriad of socks that you can wear with Hunter or any other rain boots. They are fabulous. Here is a link with all of your options from Neiman Marcus. Another winner-Bee! I bought rainboots after I ruined several pairs of Uggs in the rain/snow. My husband still can’t stomach the look but I get compliments everywhere I go in them. You’re right they don’t have to be expensive to look cute, and I must say they are super comfy. Anna, thank you for your post. Have you tried wearing the fleece socks with your rain boots? They add insulation and warmth. Which boots did you end up getting? I was just in Philly and purchased rain boots for my twin daughters who walk up to 2 miles each way to school. We purchased a pair of Cole Haan rain boots with the Nike Air technology for one, and Banana Republic boots, that look like riding boots (remembering your previous post). They’ve already had several opportunities to wear them and absolutely love them. It’s so funny that when I first saw ladies wearing the rain boots couple of years ago as a fashion piece I wasn’t so sure if they where going to be the new trend !! what brand are the cream ones with the buckle and studs? I have been trying to find those Burberry boots to buy and I can’t find them 🙁 where did you purchase yours? They’re on sale at Zappo’s right now. 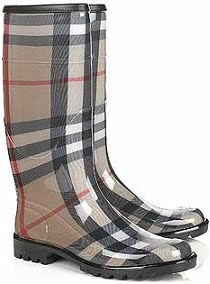 Here’s the link: http://www.zappos.com/burberry-rain-boots#!/burberry-rain-boots-women-shoes/CK_XAcABAeICAgEY.zso?t=burberry rain boots&s=recentSalesStyle/desc&zfcTest=pd%3A0. Thanks for your comment!